But when am I not busy?! 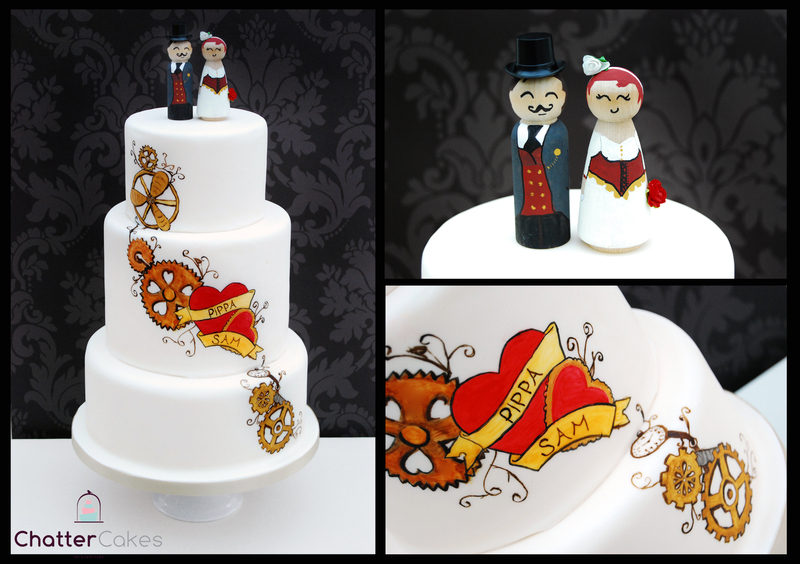 1) The first cake was for the lovely Tess and Jack, who were getting married in The Tin Tabernacle in Barcombe, Sussex. What a seriously adorable venue it was! 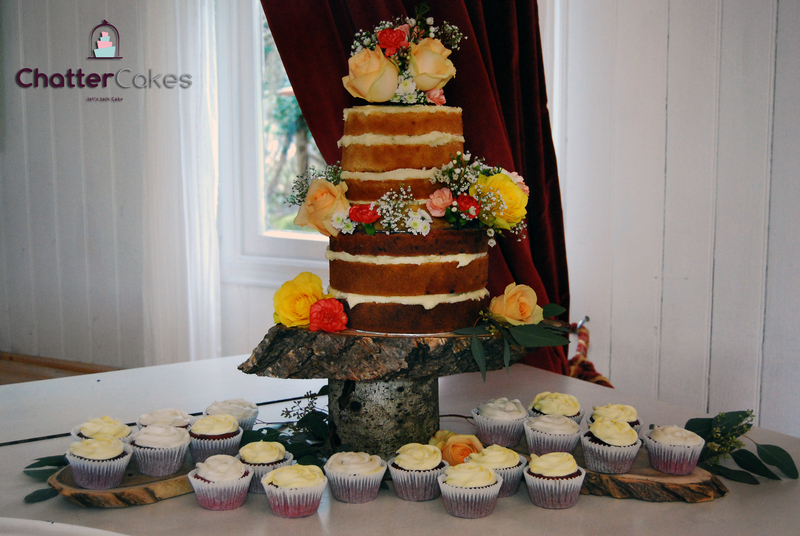 They were wanting a rustic ‘naked’ cake to fit in with their decor and venue. The flavours they chose were raspberry ripple with rose buttercream and white chocolate mud cake with honey and lemon buttercream, and vintage flowers to decorate. Oh, and the groom loves red velvet cupcakes, so there were loads of those too! 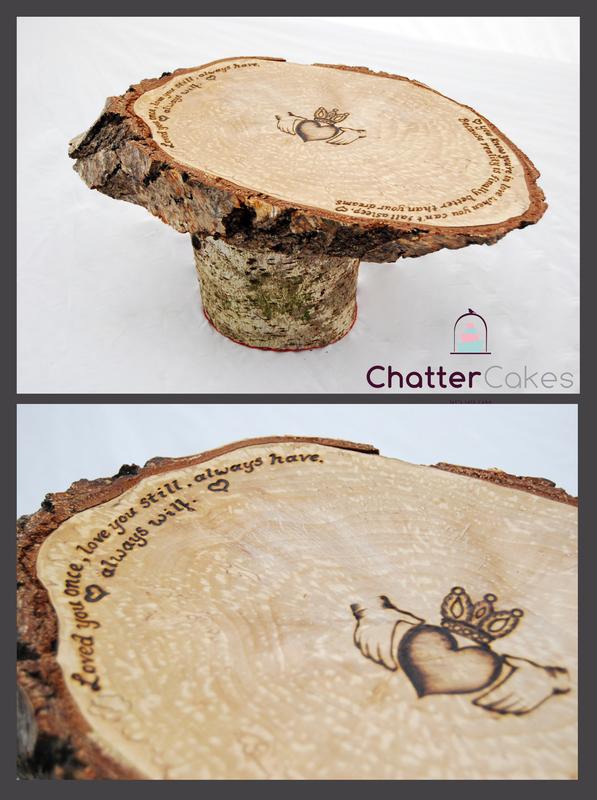 I displayed all of this on personally designed rustic wooden cake stands (which I now hire out). 2) The second wedding was for Sarah and Dave, a lovely couple I met last year after a wedding fair. They wanted something a little different! 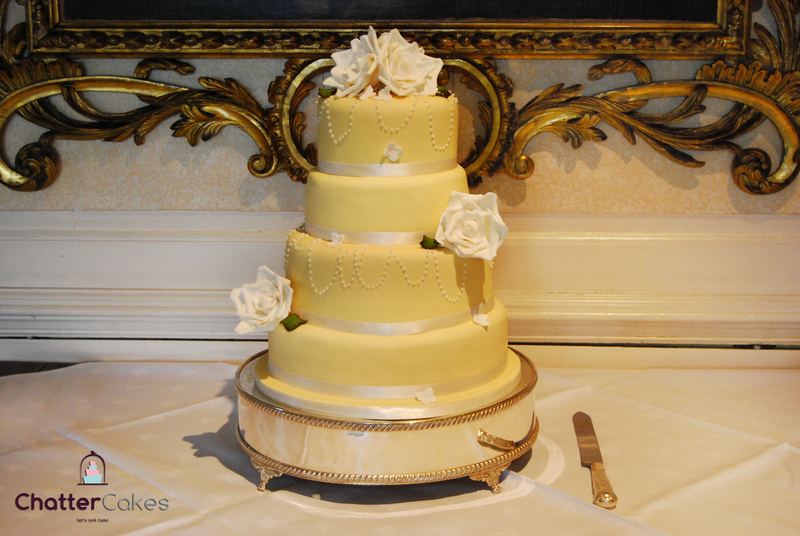 They wanted a four tier cake (fruit, chocolate orange, chocolate and lemon), in lemon yellow with white draped pearls on alternate tiers. They also wanted white sugar roses and hydrangeas. You know something? Working in the wedding industry is difficult. Don’t get me wrong – its one of the happiest industries to work in, as its such a special time in peoples lives. Thats the problem haha. I see so many wonderful and creative ideas, that I wish I could be organising such a joyful event myself. In time…in time haha. 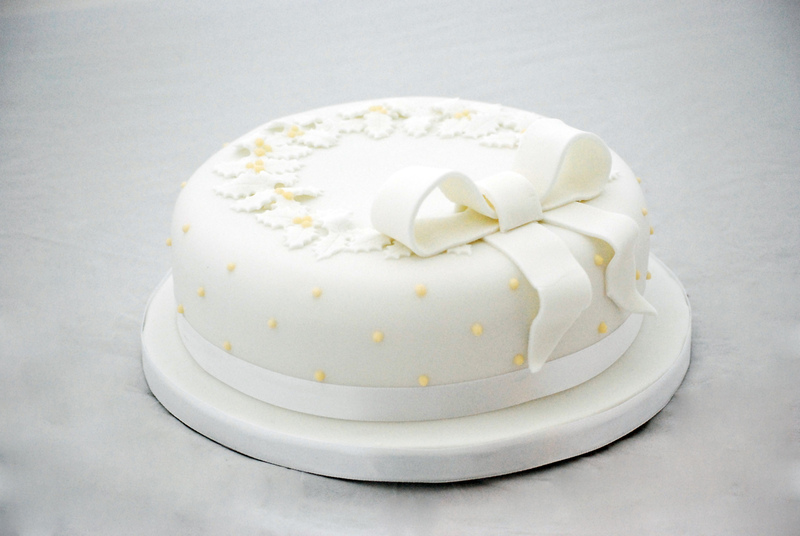 It was interesting meeting around 7 different cake makers – all with very different styles. 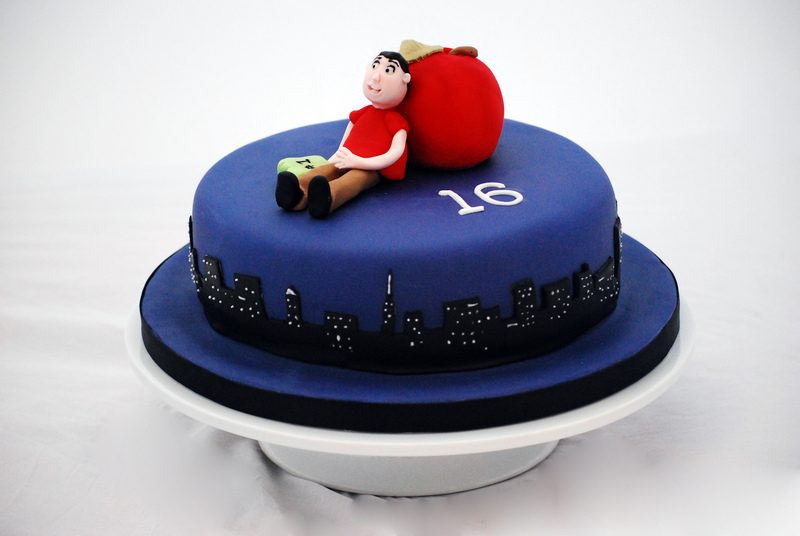 Gave me a good idea of what is going on further north with cake styles and trends. Some of them were going in a totally different direction! One things for sure – each stand seemed to have a LOT of display cakes. I’m amazed they could transport them all. One cake maker had nearly 20 cakes on her stall haha. 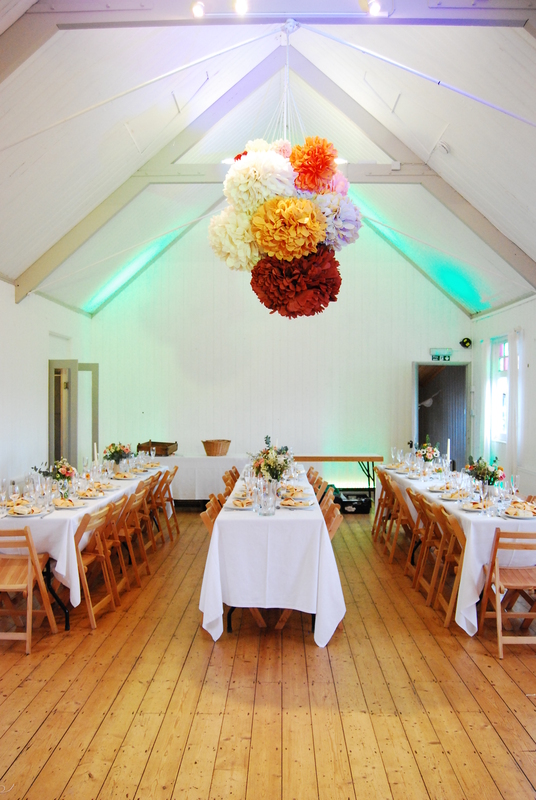 Shropshire Petals – They grow biodegradable natural petal confetti, wheat sheaves and dried flowers all handpicked from their farm set in Shropshire. Alphabet Photography – They create personalised word art, using photographs of everyday objects that resemble letters of the English alphabet. They present them in gorgeous big photo frames – take a look! The Stretch Tent co – Gorgeous tents!!! They look awesome. 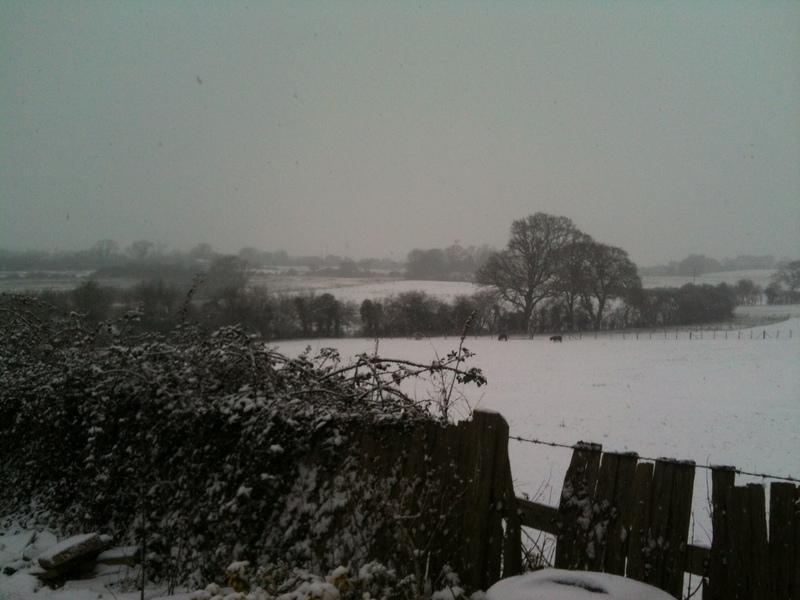 So the sun have been out a little today – but its still SO cold! C’mon spring…where are you hiding?? A few weeks ago I bought an iddy, diddy little purple pot for 99p, which I just couldn’t resist. I’ve been trying to find a reason to use it ever since, and today, ladies and gentlemen, was the day!! 2) Put blueberries into a bowl, and mix with the lemon juice. Tip into your baking dish. 4) In another bowl, add the flour and margarine together and combine with your fingers until resembling bread crumbs. Add sugar and keep combining. Topping done! 5) Sprinkle the topping over the fruit, covering it up. 6) Bake for around 15 minutes, until the topping is golden and you can see the fruit underneath bubbling. Om nom nom. Sitting here munching on chocolate, as its the thing I’m going to attempt to give up for lent. EEEK! I mean, I’ve done it before…for nearly a year! And that was all dairy, not just chocolate. I remember when I did give it up, I felt so much better! I got over the cravings after a week…I think…and didn’t really want it until I tried it again for the first time in months. BOOM. Addition back haha. 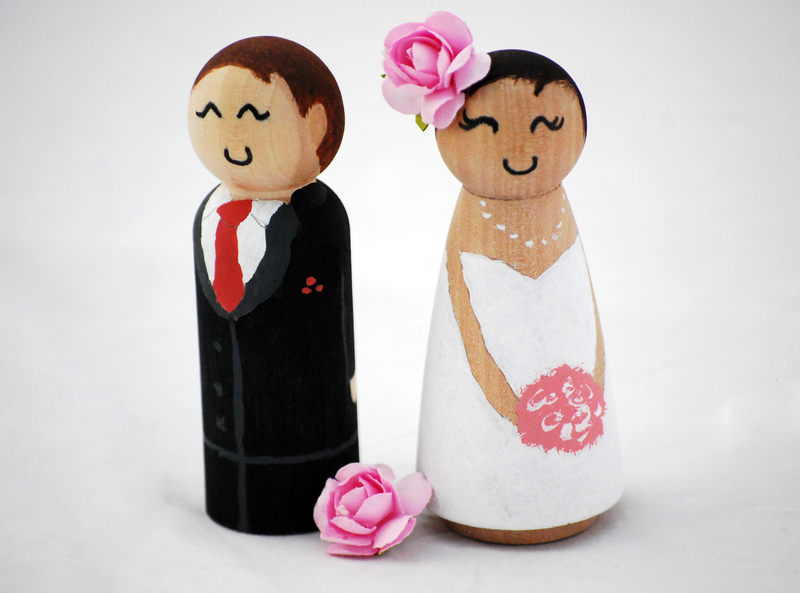 They are all hand-painted and personalised to whatever requirements and look couples want to go for. 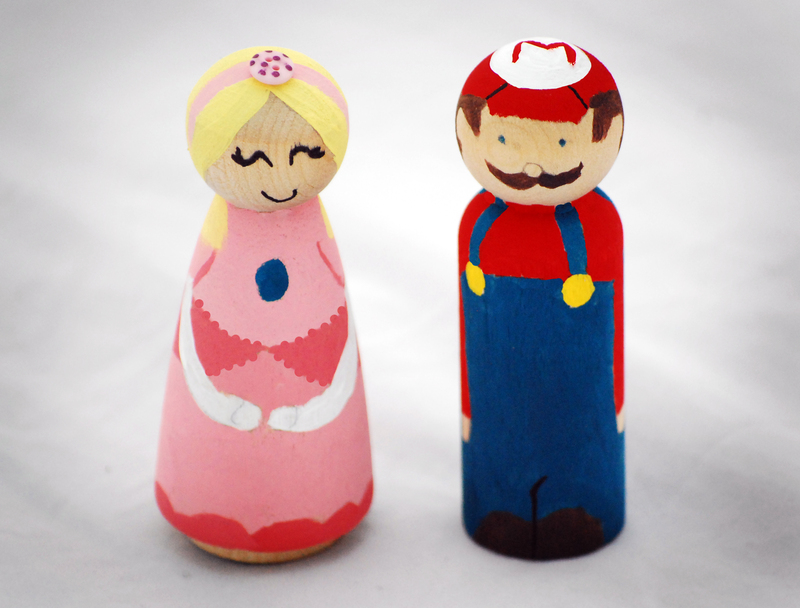 Although, saying couples…these can be lovely as little figurines for the house anyway. Or birthdays! I can also make kids and certain pets. I’m selling them on eBay too. All of us gathering around the shots! Not sure yet when the photos will be out, but I’ll update when they are! It was really interesting, and met plenty of new faces. No matter how much I hate travelling to London, it was a great experience. A brilliant company, with great wedding fairs. Yay! Happy wednesday everyone! I like wednesdays…half way through, so you can look forward to the weekend, but not be too freaked out that the week is rushing by! I’ve got so much going on that I need to rewind a few days to catch up. Oh the adventures I get into!! So today I haven’t got any baking to be doing, but I do have a lot of computer work to do. I’ve had an amazing enquiry in for a joint birthday, which I’m quite excited about. I’ve also got to start thinking about an article I’m doing for a brilliant magazine 🙂 debating on what write about – I’ve got several ideas! Can’t really complain too much – how stunning! 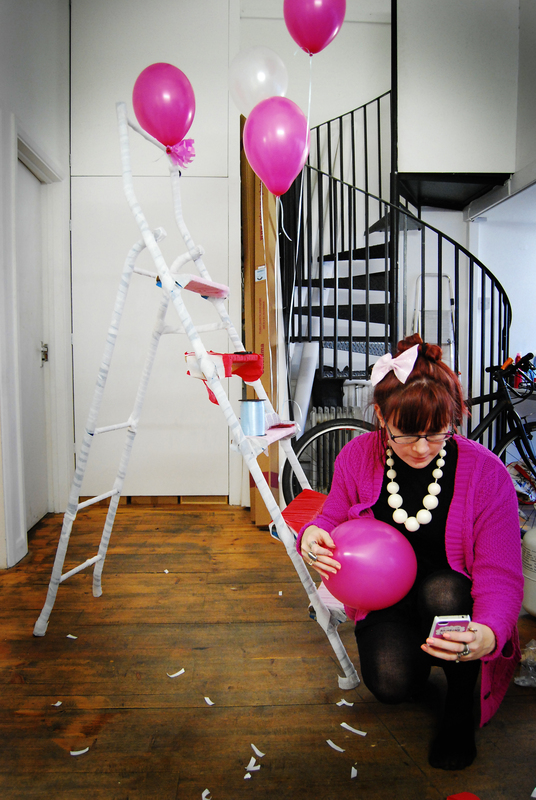 I’ve got 3 cake parties coming up this week, and some exciting design related bits going on throughout the week. So pretty busy! I’m just trying to think of what foodie treat to post on here for you guys next 🙂 any suggestions, feel free to post! 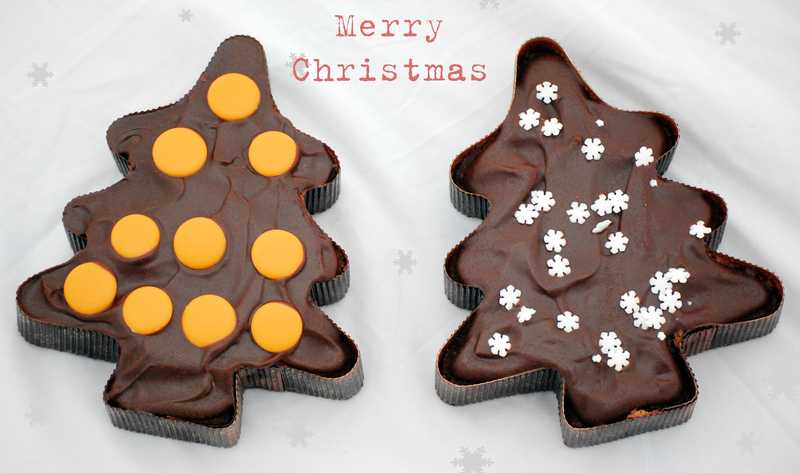 A little last blog to say Merry Christmas to all of my wonderful followers, friends, family and to my lovely Mr CC. I’ve had one amazing year – one that I could never have imagined happening. 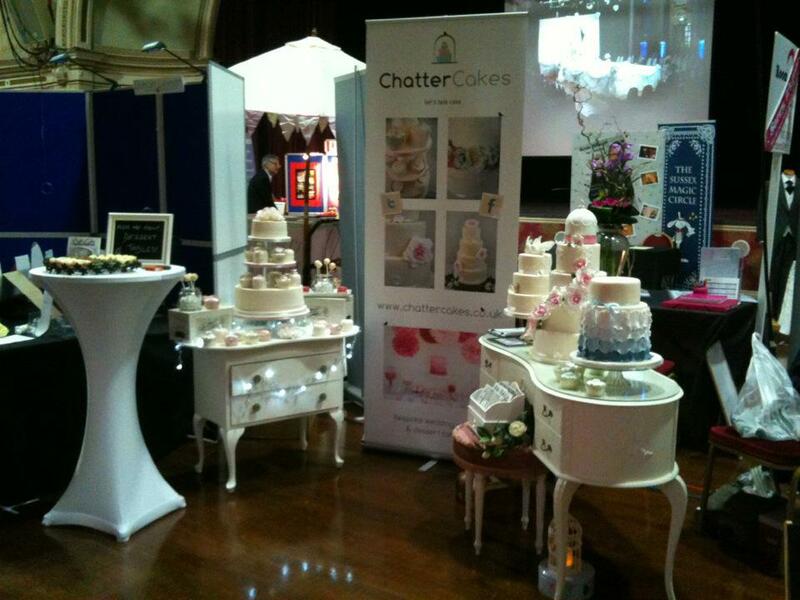 I am chuffed to say that Chatter Cakes has brought me more happiness in a ‘job’ than I thought I could feel. I wouldn’t have been able to do all of this though without all the amazing support from everyone who I’ve been in contact with for this past year – from fellow suppliers, fabulous couples and the lovely people who follow me online. Be merry, safe and have a wonderful christmas and new year! Unfortunately my lovely loyal camera lens has died, and I’m needed to go buy a new one, so this was taken on my iphone. 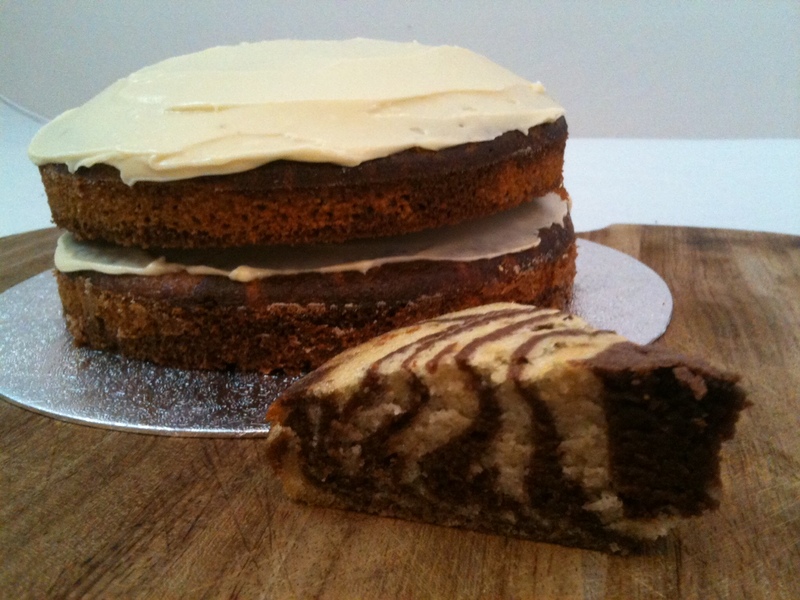 Not the best quality, but it gives you an idea of the tastiness that is zebra cake. 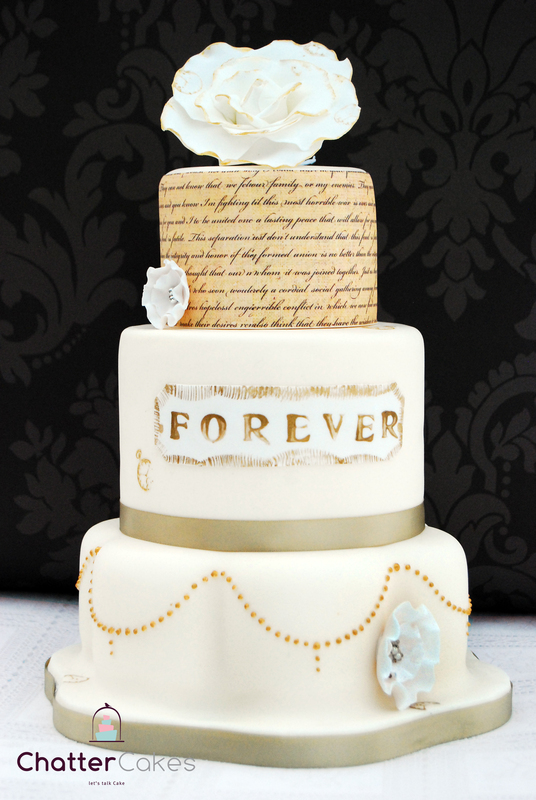 It is vanilla and chocolate cake with salted caramel buttercream. I’ve had quite a few cake parties lately, and they’ve been so lovely! 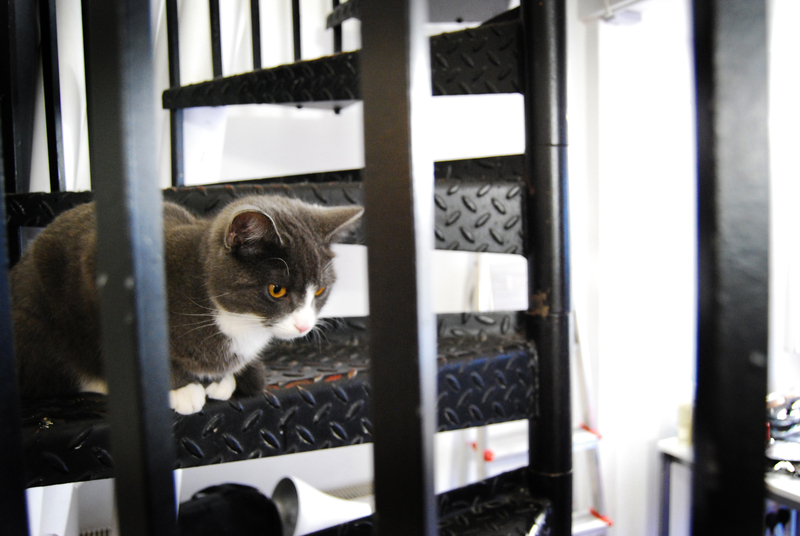 Plus, quite a few of them have been in my lovely Chatter Box, which is always brilliant because it allows me to take care of the couples (and family) and have everything ready for them, unlike when I visit their homes. 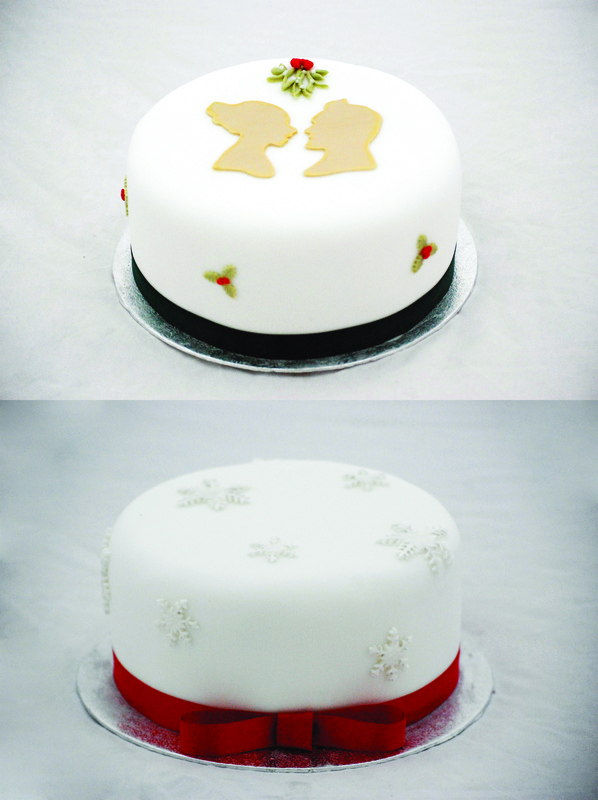 I love either way, but its always handy to be armed with all my examples and give them an idea of the process I go through to make their cake. 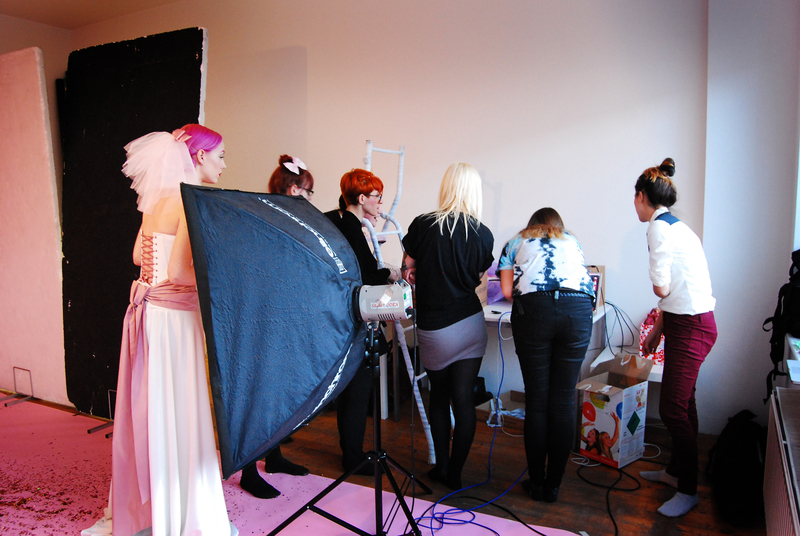 I’ve got to say…I’m already missing wedding fairs! I don’t have another one until the first weekend of January, which isn’t too far off, but it feels like SUCH a long time. I miss chatting away to couples, meeting other suppliers and having a giggle. Come on January!! On another note, I have a little bit of cool news to show you guys. 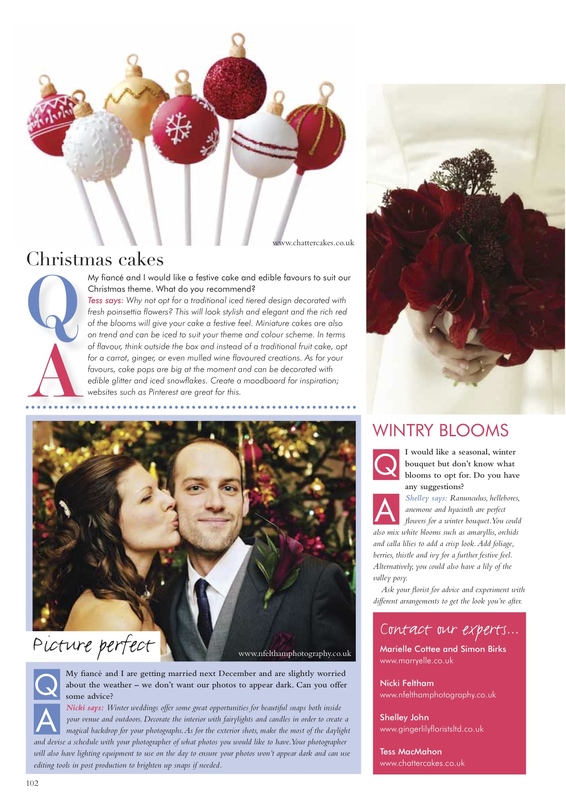 I have just been featured in Your Sussex Wedding magazine (on sale at the end of this month I think) as one of their experts 🙂 they just sent through a pdf of what it will look like. Luckily I haven’t seen my headshot yet, but that will be a laugh when I get it in the post! Ooh and I have bought a few new bits n pieces for some dessert tables 😉 I’ll show them off soon. 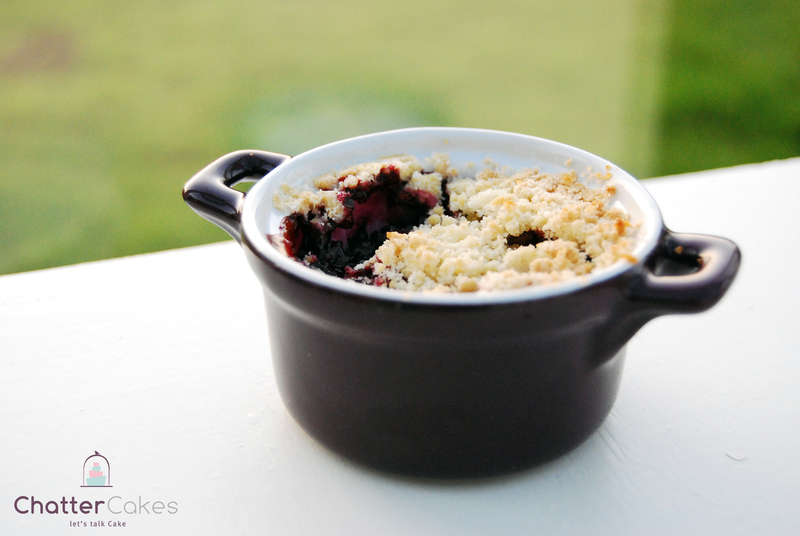 Last but not least, I have a little recipe for you guys if you need a quick and easy pud to keep you warm! 1) Put oven on to 200 degrees. 2) Peel and chop up your apples into small chunks and pop into a saucepan. 3) Add the sugar, cinnamon and nutmeg into this mix, and put onto a medium heat. 4) Cook for a few minutes until just starting to soften, then take off the heat. 5) Unroll your pastry, and with a round/square pastry or cookie cutter, gently mark (not cut!) out 3 (or more if you want them smaller) shapes in a row. This should be so you have them all on one side, and have enough pastry opposite to fold over these shapes that will have your apple in. 6) Place a medium amount of your apple mixture into the centre of these shapes, but don’t over-fill them, as it needs to be similar to ravioli – enough space to seal around the filling. 7) Fold the non-marked pastry over your piles of apple so they are totally covered. 8) With the same size cutter you used before, ensuring there is enough pastry around your filling, cut out your ‘ravioli’ like pudding. With a fork, gently seal the pastry around the sides by pressing down repeatedly on the edge, pushing the two sheets of pastry together. 9) Cut a small ‘x’ into the top of your pastry to allow steam out throughout cooking, and pop them onto a baking tray. Sprinkle a little brown sugar on top of each. 10) Cook for around 15-20 minutes until golden brown, and remove from the oven. Leave to cool a little, then EAT!